A concept that could transform the food supply chain. This is an edited version of an article that first appeared in Food Australia. There are momentous challenges ahead for successfully feeding the growing world population. About 795 million people are undernourished, while more than two billion people are overweight or obese. Forecasts predict that by 2050, nine billion people will need to be fed in an environmentally and nutritionally sustainable way. If we are to meet food and nutritional needs in a world where natural resources are diminishing, we’ll need to combine strategies such as reducing food demand, increasing food production, all while maintaining sustainability. Food processing also plays a major role in food and nutritional security. Not only will we need to reduce production losses during processing, but we’ll also need to increase nutritional content, shelf life, and environmental sustainability. In the meantime, each year approximately 1.6 billion tonnes of food is not even consumed by humans—it is used for other processes such as composting or ends up as landfill. As it travels from farm to retail, food is lost during production, harvest, post-harvest handling, storage, distribution and food processing. And once food reaches the consumer, massive amounts are wasted. 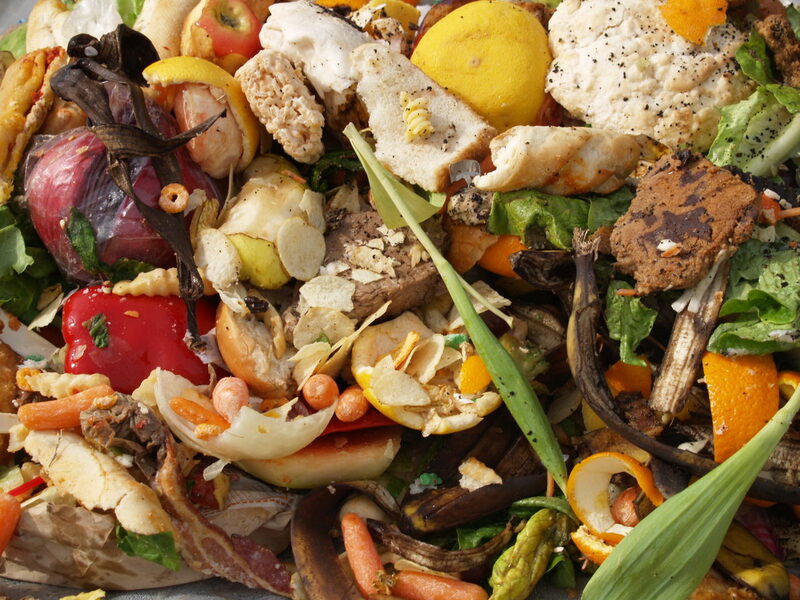 But much of this lost or wasted food is potentially edible biomass, in other words an energy source for humans, which could be diverted back into the global human food supply. The UN has addressed these and other global problems and in 2015 released the UN Sustainable Development Goals. Among those goals are Zero Hunger (Goal 2) and Responsible Production and Consumption (Goal 12). These goals can be achieved by the Food Loss Bank, which takes food usually lost from the food supply and facilitates its return to the food chain. The Food Loss Bank is a networked supply chain that will take the edible food loss biomass suitable for human consumption and classify it, determine its origin, and facilitate it to be stored and diverted back into the food supply chain. We propose a food loss-streaming platform made up of physical and virtual stage-gates whereby intelligent decision-making is applied at each stage-gate. To achieve the decision-making, we will combine data of different formats and sources, data relating to biomass type and safety as well as stability and supply chain logistics, in order to determine how to best divert biomass at each point. One of the biggest hurdles is ensuring underutilised biomass is safe (or can be made safe through processes such as heat treatment and fermentation) for human consumption, while still preserving its nutritional value. To ensure product safety, we have to gather a range of data relating to physical, chemical and microbial quality attributes of the biomass. The physical biomass will be assessed at each stage of the food supply chain by lab-on-a-drone or other mobile, highly integrated laboratories that will test for microbial, chemical and physical properties and safety. The data collected will be sent to the virtual food loss-streaming platform for fit-for-purpose or use matching. We’ll then develop specification sheets looking at the raw and added-value of the edible, underutilised biomass, and certify the material for use. Our vision is that the Food Loss Bank will be a temporary store for edible food loss biomass (Figure 1). The new agriculture and food value chain is a dynamic network with the Food Loss Bank as a central node. The network consists of both physical and virtual components: the physical component is the store of edible food loss biomass, which can be diverted back into the food supply chain; the virtual component is a repository of knowledge designed to support decisions made by all participants in the food supply chain. The Virtual Food Loss bank optimises the new, dynamic food chain by using algorithms, simulations and a trade-off analysis, which compares quality to higher operation costs. It consolidates a variety of other data streams, including information about perishability and traceability. How will the Food Loss Bank work? The Food Loss Bank connects each point in the food chain to catalogue underutilised edible biomass supplies, facilitates yes/no decisions on the availability and safety of edible biomass at each point in the supply chain, determines optimal diversions and provides a data portal each supply chain stakeholder can access. A dynamic network map indicates where supplies are held and where they could be diverted to and for what further processing. This gives each stakeholder an overview of the supply chain and facilitates understanding and management of available biomass. Take, for example, the horticultural supply chain. Produce that does not meet cosmetic specifications is rejected for sale as fresh produce and never even makes it into the fresh food market. With the Food Loss Bank it will be possible to monitor undersized or misshapen horticultural harvests, collate this data within a growing district and direct the produce to other uses. The particular characteristics and extent of non-conformance to specifications will dictate how such produce may re-enter the food chain. Canada and France have solved this problem by creating a new category sold in supermarkets – “ugly fruit and vegetables”, and we’re starting to see it here, too. This produce may not look great, but because it meets food safety requirements it can be sold for human consumption. Some countries are redirecting produce to processing operations such as juicing. Juicing, however, also produces a side product, pomace, which is currently being used for animal feed or sent to landfill. To avoid this food loss, we’re embarked on a project that collects apple pomace for further processing into higher value food ingredients such as apple pomace powder, which could be used as a supplement, a functional nutritional ingredient, or in formulated extruded products. Why have the Food Loss Bank? This Food Loss Bank will create a more integrated and efficient supply chain with reduced food loss, traceability and certainty, providing a mechanism for achieving the aspirational goal of maximising the conversion of underutilised edible food biomass into safe and acceptable food ingredients and manufactured food products. Producers along the supply chain will be able to “bank” a stabilised edible food loss that can later re-enter the food chain via the streaming platform. Looking at the big picture, the Food Loss Bank will help increase the efficiency of food production systems, decrease the associated environmental footprint, facilitate increased economic efficiency, and help tackle the immense problems of global hunger and feeding the world’s population. This research is supported by CSIRO, Active Integrated Matter Future Science Platform.